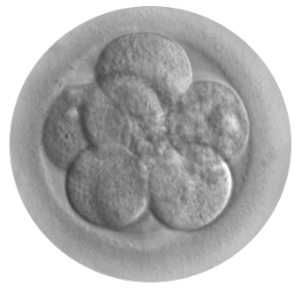 The Canadian Clinical Embryologist Training Center is a body of Cellmolecule Scientific Canada Inc. We are the only organization that provide this world class training support to both scientists and physicians around the world in the North America. We are committed to maintaining highest standards of competence in practice of Clinical Embryology and Andrology through training, and professional development everywhere, anywhere in the world. The Center is the first and the only center in both USA and Canada that is particularly devoted to providing specialist and Advanced hands-on training in wide areas of Reproductive Medicine – Assisted Reproduction Technology or Clinical Embryology. Specifically, the center provides nationally and internationally recognized advanced techniques required to achieve highest success rate in Embryology and Andrology Laboratory. Each year we train more than 200 professionals from more than 59 countries, including Gynecologists, Embryologists, Andrologists, Biomedical Scientists, Biologist, Medical Laboratory Scientists, IVF nurses, and people from industries. Corporate training, Consultancy, Setting up your IVF lab for you; Laboratory Management; Specialized training in ART techniques. We also provide partnership opportunities with relevant organization. A number of training courses are held round the year. Participant come from various background and from different countries. Courses cover all aspects of ART and are delivered by experts with proven track records in the field of ART. The Embryologist Training Program provides hand- on training for Embryologists and Andrologist, including Biologist, and those new to the field can acquire improved skills and understanding of theoretical and practical aspect of Clinical Embryology practice. Variety of training classes and batches are available. This course covers the both basic and advanced principles and techniques used in clinical embryology and andrology / IVF lab. The program is run by the National Clinical Embryologist and Andrologist Training Center, which is currently sponsored and funded by Cellmolecules Scientific Canada Inc. Participants would learn the skills and acquire the knowledge necessary for advanced and specialist professional practice, including the setting-up and running of the lab, specific advanced procedures, and quality control to ensure the highest possible success rates in an IVF program in their Center. The course offers each trainee a complete hands-on learning opportunity. This training course provides opportunity for both scientists and clinicians to gain sub-specialist and practical knowledge in Clinical Embryology and Assisted Reproduction Technology and infertility, including processes of human reproduction that are relevant to manipulation of fertility and new ways of laboratory approaches to treatment of reproductive disease. Short training Fellowship / Board Exam preparatory training; 3 months is available, candidates must secured funding and will be eligible to write Board exams upon completion. To provide theoretical information and practical experience relating to some of the more complex aspects of Assisted fertility techniques and procedures used within Embryology laboratories. Candidates who have successfully attended all the structured components of a specific curriculum and scored up to a pass mark of the standardized assessments shall be eligible for Board Certification in that sub-specialty. ideally, such candidate would have demonstrated high proficiency in specialized laboratory techniques / procedures, and can handle complex laboratory challenges / interpret their results. Candidates are encouraged to book ahead of time to ensure seats are available. Visa credit cards , Master cards are accepted with no extra fee; however payment through Money gram, Western Money transfer or direct deposit are accepted. Candidates with further questions may have to consult with our team with consultation charges of $55, email us with your questions.